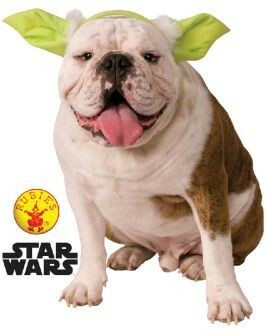 Make your pet the ultimate Jedi master with these cute Yoda ears. Does that mean he is now your master? Includes one pet Yoda ears headband. This is an officially licensed Star Wars product.